Vacuuming can be a chore at times, but Pokemon is here to make it a bit more fun. After all, Pikachu is about to get its very own vacuum, and fans admit they didn’t know how much they needed the device until right now. According to Japanese manufacturer Shine Co. Ltd., it will team up with The Pokemon Company to sell a Pikachu-inspired robot vacuum this year. 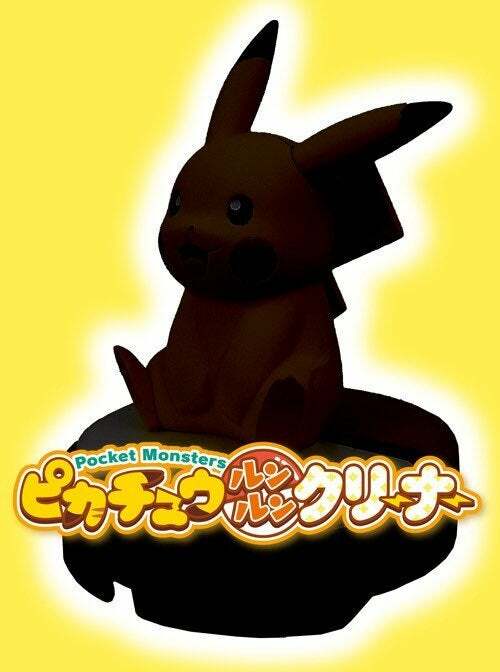 The item will be called the Pokemon Pikachu RunRun Cleaner, and fans were teased with its initial design to boot. As you can see below, the poster released to announce the vacuum is shadowy at best. In fact, the image looks like Ghastly is covering up Ash Ketchum’s best friend, but fans can see past the shade to see the vacuum’s shape (via Crunchyroll). It seems the actual vacuum will look regular enough, but Pokemon factors in as expected. You know, since it seems a giant figure of Pikachu will ride atop the vacuum and make your house feel more like a Pokemon Nursery than anything else. The collaboration has yet to release firm product details about the vacuum, but the Pikachu RunRun Cleaner will have some cute functions. For instance, the vacuum has a normal operation mode and one where Pikachu talks. So, if you choose to turn on the setting, be ready! There is no guarantee Pikachu will not drag you over your dusty floors if given the chance. This is not the only piece of tech Shine. Co. Ltd. will release for Pokemon. The manufacturer is releasing a 30 cm soft lamp shaped like Pikachu. The light will be touch-activated and glow when pressed. It will come with an alarming high voltage setting to turn up the brightness along with a dance mode and light mode. So, would you cash out for this Pokemon vacuum? Let me know in the comments or hit me up on Twitter @MeganPetersCB to talk all things comics and anime!